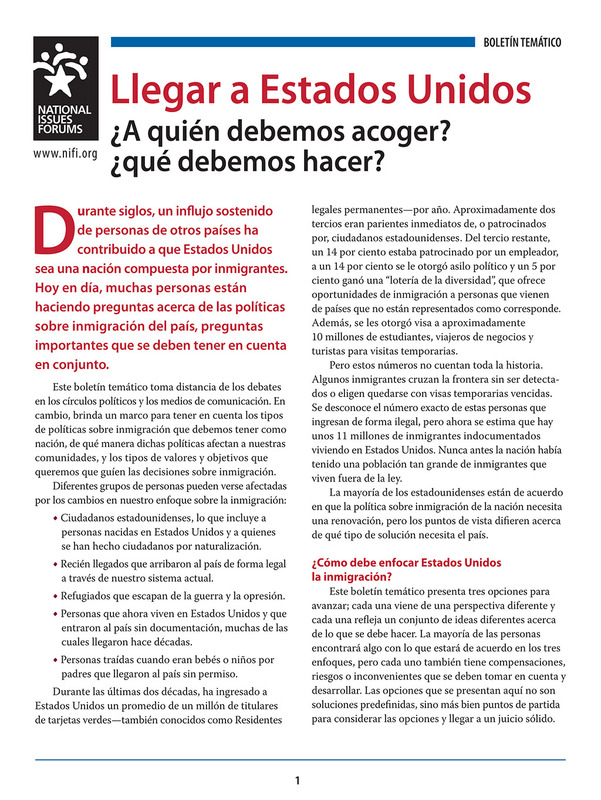 Now Available in Spanish - Issue Advisory Materials about Immigration - "Llegar a Estados Unidos"
The issue advisory titled Coming to America: Who Should We Welcome, What Should We Do? is now available in Spanish. An accompanying post-forum questionnaire is also available. These materials are free to download. Click here for the Spanish version of the issue advisory. Click here for the Spanish version of the post-forum questionnaire. Read more about this issue and for links to resources for moderators and conveners planning forums.